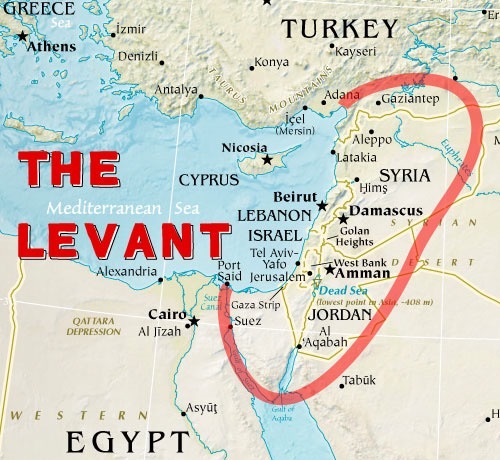 History Repeats Itself (About Syria) – Wake Up! Wake Up! 2700 years ago in the desert north of the divided kingdom of the chosen people military leaders campaigned to attack those to the south. They prepared for battle, a constant theme of war in their hearts. 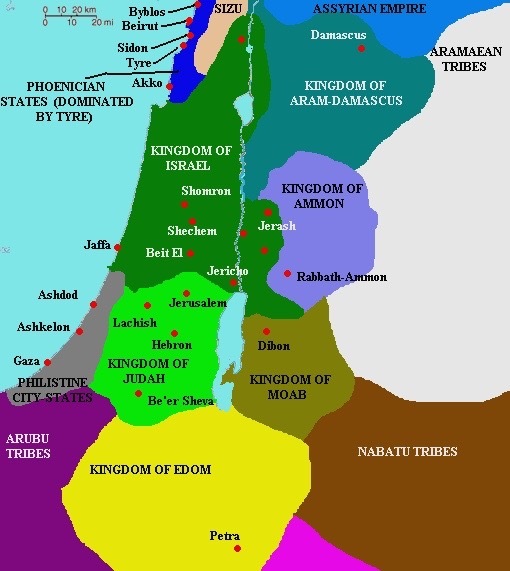 There were territories to be conquered, treasures to be plundered, nations to be destroyed. Skirmishes would be fought against persons disobedient to God. The ground upon which these people grew trees, fruits and vegetables would be laid barren along with their temples and homes. Into their nests a hand would reach to take their precious eggs. God would use these militants to end a community, many tribes, led by unrighteous rulers, occupied by ungodly residents. Remnants may rise up, but the few righteous would be collateral damage, their love of God the only hope they possessed. The conquerers found easy their initial incursions. They did, however, find resistance from a tribal community further south, also members of the chosen, yet divided from their brethren under siege. A prophet forecast the destruction of those above, to the North, and below, to the South, in the kingdom of the chosen, but how little did they heed the warnings. It was God’s word from the mouth of a servant, a caveat to the humans that their idols, material and personal, separated them from God and made them subject to his wrath. God would use others as needed to inflict the punishment deserved. Outside the gate to their temple was a band of marauders on the ready to take what they wanted, spilling blood as needed, beheadings a habit, hands chopped off, women and children enslaved and the treasury taken. All the things that mattered would no longer be of value or use. Such was to provide emphasis that what was important was only God. God allows for many things, but not if his role in making available beauty, enjoyment, pleasure and benefits is not recognized and given thanks. This world, our world, is God’s doing, not man’s. Beware the mini-apocalypses of life when lived for oneself and not our Creator. The conquerers from the Syrian lands saw only themselves in victory. Proclaiming I; I came, I observed, I wielded the sword of destruction, I had the foresight and the wisdom. I had the strength. I subdued the opposing rulers. I reached in and grabbed all that pleased me. In so doing these nation plunderers exposed their vengeance, their personal vendetta, and took God’s role upon themselves. They fell upon the petard of their own superiority. Kneel before me and pay a tax, acknowledge that I am the stronger, the better, the more holy, and your commander now. As God employed them, God would cause their selfish bodies to be blistered, broken, and weakened by disease. They would fester in the decay of their own lack of love for the Lord. What they took they claimed for themselves, not for God. A mighty forest of warriors would be set ablaze by the flames of their own discord, internal strife, and wanton desires. The most holy would hold the match, they too as combustible due to their contempt. They would become the fuel. Carcasses would become diseased by a lack of humility. Thanks and respect would be as ashes on the forrest floor. The fallen were once stands of mighty cedars. The prophet Isaiah in the mid-eighth century BC envisioned events taking place during his lifetime and after. Assyrians and Babylonians fought and conquered. Used by God they caused mass destruction to people, and their property. They were selfish and disobedient to God – those overtaken as well as those committing the acts of violence. There were remnants of believers, the dead to be resurrected at Judgment Day; those living to find renewed hope and joy. In that day the Lord prevailed. In this day the Lord will also. The arena was an area of gloom and darkness, the stage for an awareness of history to be repeated. The prophet’s vision was to be echoed. It is now. As God’s light shone before upon captives of the takeover, remnants of righteous people were able to return or to spread their faith, a true faith, it will shine again. Women, children, the poor, the oppressed, and the scholars will rise to enjoy their restored freedom and become educated and productive. The wasteland will be watered and made green with the labor of those who love God. God’s light only dims or darkens when the shadows of enmity and hatred arise to harm others. The enemy of God, claiming a god of their own, raises their arm to block the distinctive ray of God’s light and love, and subjects those they overlord to heinous barbarous acts. Their hearts turn away from the divine, embracing instead the greatness of a deceitful false god. Shouting Allah is Great carries no weight when the voices making such proclamations are only in it for themselves, destroying what is before them so as to feed their own blood thirsty demonic nature. Their evil is fed and shared by others who have also been suckled by the milk of false teachers whose utters fill more with venom than nourishment. The walls of their tents display the writing of hands hiding that which if seen in an intelligible way make truth knowable. The ‘truth’ will save the day. What is the truth of the commanders from the north as they fight internally over defining truth for themselves? If one man’s truth as to God’s greatness is not the same as another the cry of ‘infidel’ is heard and the tat, tat, tat, tat of gun fire along with the flashes of death stripe the horizon. The warriors proclaim the same god and the same Messenger, but the messages are seldom the same. The interpretations vary. Such disputes are as kindling for the flames of war, wars they have fought since childhood, against neighbor, neighboring tribe, and those who have what they desire. As an excuse and justification for their battle cry there can be no freedom of thought other than what is in the mindset of the bearer of the more powerful weapon. Dispute their thinking and they take a defensive posture towards being ‘persecuted’, their style of life threatened, to warrant their violence. One man’s mischief is another man’s justification to murder. Common cries of Allah being Great are heard as the lances are tossed at one believer from another. Tracers are seen overhead criss-crossing battlements and trenches. What they believe is unbelievable. The hatred in their bodies will enable spontaneous combustion with explosive flares reaching skyward. Mutual destruction will be greater than the target of the common theme of their ideology. Their wickedness will be their demise. Used by God but never above God. Never greater than God. With no humility, only superiority, to be acknowledged, the evil spirit, the jinn within, will not allow for life in a secular or democratic society by those whose directives are to kill any alternative. Alternatives exist and will always. Only those who can live as individuals in a pluralistic society commanded by men inspired and loving God, not a theocracy, will survive. In isolation the hateful hearts will self-immolate. Proper governance is only for the common good of all, never a few. Ethics and morality are founded in family and a relationship with God. Without God, a loving God, their can be no democracy. Allah is nothing but a god, so labeled, requiring love first. A taker, not a giver. Always conditional. Democracy is intended as a fitting for all shoes. But feet that want to trample others cannot be allowed. As such those feet must be culled from society as they simply do not fit or adjust to the reality. The standards for all cannot be made as standards only for one. The agreement among the people may allow for all, but must prevent any who disagree and want their own law. The isolationist as traitors to the rule of law for all, which embodies freedom, must be set out to sea, to shores far away from the programs intended for the common good of everyone. They may find no refuge, no port, and become fodder for the sharks that roam seeking any form of nourishment, the bloodier the better. Human rights are for all humans, male or female, rich or poor, old or young, pagan or principled. Denying the rights of others is never to be permitted. Those who do must leave. History repeats itself with factions from the same lands, the land where our Messiah walked, but now involving people from all corners of the earth. The four living beings with six wings, covered inside and out with eyes, are waving and casting shadows over the whole of mankind. Those made right with God through his sacrifice, already punished for their sinful nature, will stand tall with hope and joy in their countenance, and the word of God will continue to spread. Blackened hearts will be cleansed as they see the light arising from the scorched earth of their destruction and turn to face the Creator. They will know that the greatness of God is in truth, not in false claims of prophethood or manmade scripture. The gaps in their scripture alone prove God was never in charge of their book, as why would such a perfect divine nature allow such deception. Why would God ever provide a Scripture to be corrected. God makes no mistakes. Only man does, and yet God is willing to forgive. Man may not, however. But God calls on man to forgive, as God forgives. It is then that he knows your heart is not calloused by an overwhelming appetite and addiction to the offerings of the father of lies. Sharing the truth needs to be defended, but only by allowing all ears to be open, all voices to be heard, and individual thinking to make their own judgment for themselves. Not allowing others to proselytize their beliefs is to demonstrate a fear, insecurity in that what you may believe is false. Let all voices be heard. God gave man an intellect so they can know him. Those who try to stop access only know false gods, possibly satan directed. The serpent remains in the garden feeding illicit delicacies to any who wish to hear, taste and then indulge. God remains at the gate to protect his children. Do not close the gate or allow its closure on him who has saved even you. Assyria in 740 BC, today Syria. Babylonia in 740 BC, today Iraq and Iran. The waves of violence continue. The resistance towards God prevails and a demonic deceitful soup fills the cups of IS, the Islamic State, and similar or related extremists. Al Qaeda may be the parent, but the children are as separate gangs lusting for the spoils gathered with hands stained with the fluids of death and blackened hearts. The discord with external factions as well as internally mirrors the confused minds and lack of independent humane thought. These remnants of humanity are but the detritus of an ideological history whose theater is Dante’s and the audience skeletal remains of the ungodly. They continue to drink the blood of those they murder, crediting Allah for their success. Failure, in their demented ideological lives, takes them to the picnic grounds of Adam and Eve. Allah’s deception is pervasive. Israel remains a target, a focus of their hatred, yet a minuscule number live in their spot on the Arab desert, made fertile, an oasis, by hard work, invention and desire. It is a democratic productive land surrounded by the Mediterranean on one side, and a larger sea of sand and dependency on the other three sides. The history of these people is reflected in the Bible, a history the Islamist would prefer be erased, destroyed and any artifact or piece of it dispensed with so that Islam is but the only jewel in the crown of a desperate autocracy seeking God’s approval. We need the gospel. Let it continue to speak to all. It is the jam of the fruit of truth to be spread on the bread of life. Open your pantries and let this tasty offering be made available. Too many have stored it and forget what it can provide in benefits to the soul and character of all mankind. It knows and reflects history. The Old Testament covers a canvas past and present. The New Testament awakens the heart and mind of mankind to a peaceful solution in a pluralistic world where conflict can be at a minimum. Love God, Love Neighbor. There is no call for weapons. Vengeance is the Lord’s. It is not man’s. The Gospel shines God’s light on everyone. Allow the scales that may be covering your eyes, certainly those of the Islamic extremists, be lifted and see. See the beauty, the hope and joy, that is available to those who accept the forgiveness God has provided. Pass it on and be his children.